Latest figures from the Society of Motor Manufacturers and Traders show new car registrations last month tumbled 12.2% to 158,192 units – marking the seventh consecutive month of decline. Downturns were seen in both business confidence – with registrations among the fleet market and sub-25 ‘business’ sector down 13% and 26.8% respectively – and private registrations, which fell 10.1%. Demand for alternatively fuelled vehicles (AFVs) continued to rise, with an uplift of 36.9% to 8,244 units – while petrol models were up 2.7% in contrast to the 29.9% fall in the diesel segment. Year to date, overall registrations were down 4.6% to 2,224,603 units – in line with the SMMT’s latest, more subdued forecast for 2017 – with fleet registrations down 3.0% and business numbers down 3.3%. Private registrations declined 6.4%. 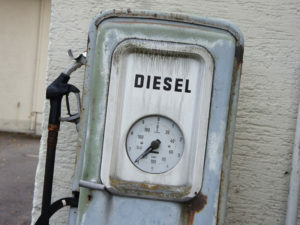 Diesel registrations for the first 10 months of the year fell 14.9% while petrols rose 2.9% and AFVs were up 34.85. His comments follow last week’s announcement of the early introduction of London’s Ultra Low Emission Zone – which will require diesel vehicles to be a minimum of Euro 6-compliant – and ongoing calls for a diesel scrappage scheme to help deal with escalating air quality concerns.